Forget soggy bottoms, there are some bakes that even The Great British Bake Off‘s Mary Berry can’t save. Picture this. It’s the boyf’s birthday. He likes football. 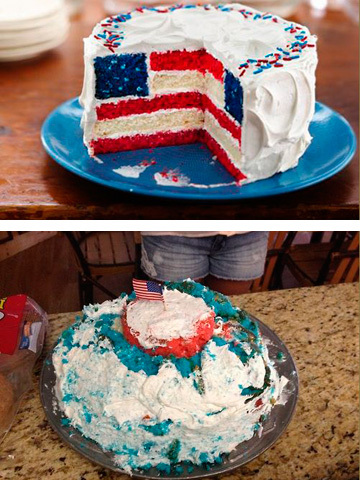 You’ve seen an amazeballs cake on Pinterest that doesn’t look too difficult. 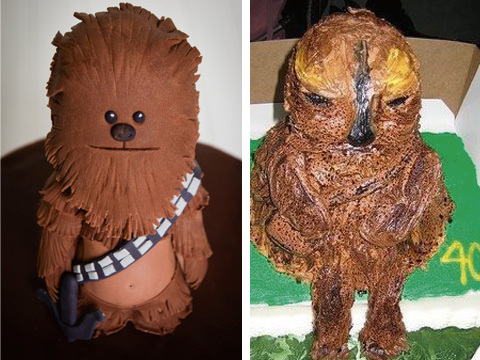 Hey, you watch GBBO right? You’re pretty nifty in the kitchen. 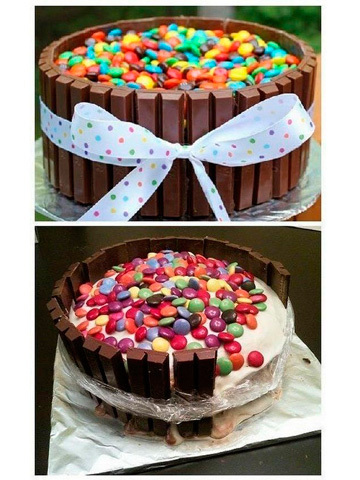 And baking him the bestest, most delicious birthday cake would score some definite brownie (ahem) points…. …only, something goes horribly wrong. Turns out, roundy cakes are really quite difficult. 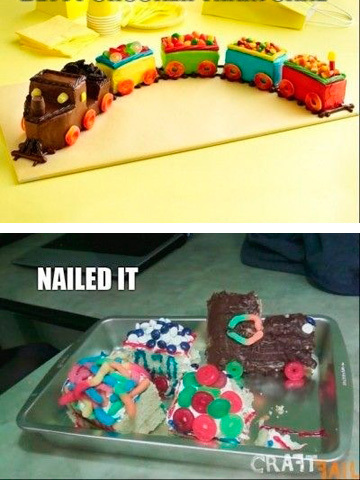 And perhaps you were a bit too eager with the icing after, considering it had only just come out of the oven. 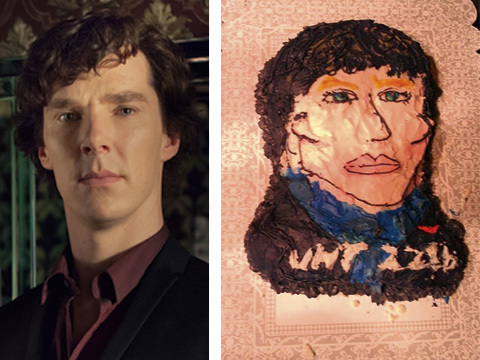 Suddenly, the super amazing birthday cake looks well…a bit naff. Oh dear. Like Iain Watters and his Baked Alaska, your culinary creation has hit the bin and you are legging it to M&S. 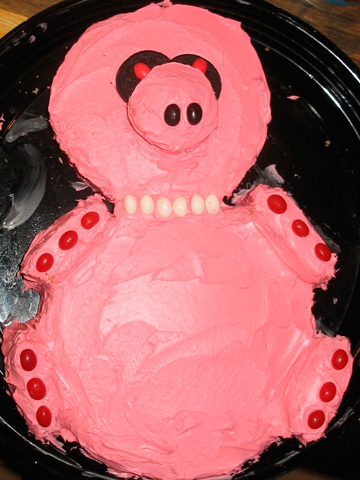 1) Imagine the child’s face when this birthday beauty gets brought out – complete with teeth. 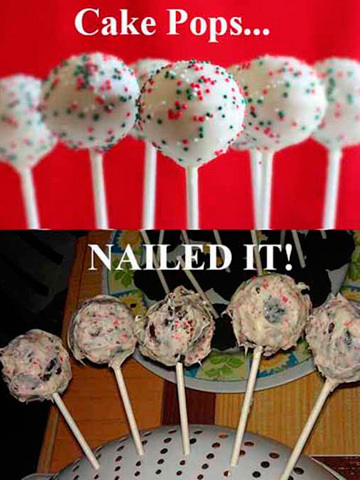 2) After the cupcake trend came the equally fiddly cakepop phenomenon. We love the creative use of a colander here. 3) Land of the Free? Not so much. 4) The Force is strong with this one. 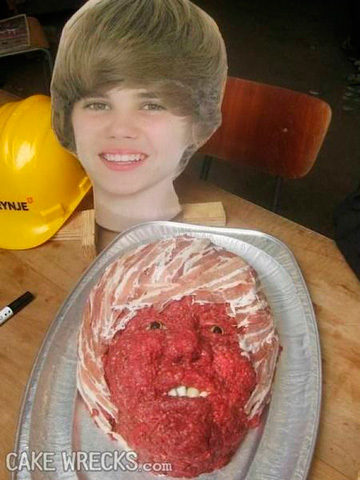 5) A Justin Bieber bacon hair cake? How festive. 6) We bet loads of well-meaning mummies have attempted this one, only for it to be launched across the room in a fit of pre-party meltdown rage. We feel your pain. 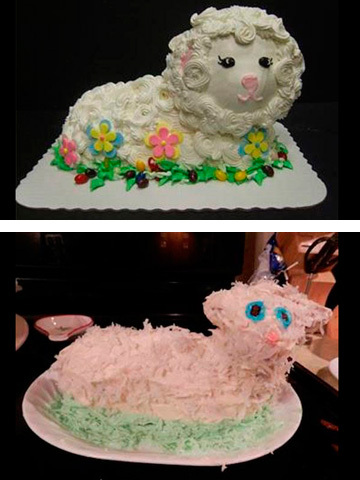 8) We had to conduct extensive interweb research to spot where this genius baker was coming from. No. We can’t believe it either. 9) If she’d said she was attempting a sickly cat, we may have let her off. 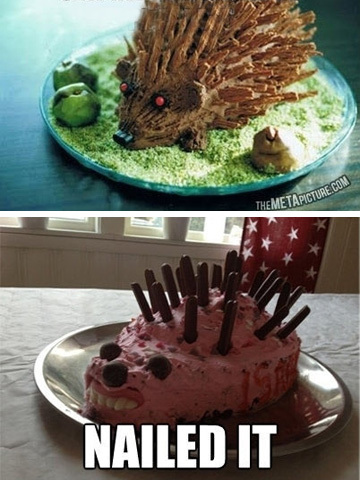 10) A potential Bake Off Showtopper if ever we’ve seen one! Well, in theory.